Radio Farda reported on Tuesday that the families of four Iranian students imprisoned during the government crackdown on a popular uprising are “deeply worried about their loved ones,” as the government is holding them incommunicado and providing no information about their status. The detainees in question are Ehsan Mohammadi and Leila Hosseinzadeh, arrested January 1, and Soheil Aghazadeh and Sina Darvish, arrested January 4. About a hundred other students were arrested during the same period, and only some of them have been released on bond. Iranian law technically requires formal charges to be filed quickly against detainees and does not permit “preventive arrests” of suspected troublemakers. Along those lines, one student activist said students were warned against voicing “radical demands” in advance of the protests. Radio Farda cites suspicions that the Iranian regime took advantage of the protests to arrest a variety of young dissidents. The urgent question of the moment is just how stern of a message their captors might want to send by abusing or killing them. The Radio Farda report includes a tiny bit of good news for Leila Hosseinzadeh, in that she is not believed to be held in Iran’s hideous Evin prison, like so many other detainees. On the other hand, no one is quite certain which Iranian agency arrested her or why she is being held in defiance of laws granting detainees contact with their family and friends. Furthermore, the family reportedly does not believe Tehran University is doing enough to locate Hosseinzadeh and demand her release, despite the university announcing that it would keep track of imprisoned students. The ongoing detention of students by Iran has been denounced by human rights activists, student associations in Iran, and some forty reformist members of the Iranian parliament, who sent letters to Iranian President Hassan Rouhani and the head of the judiciary, Ayatollah Sadeq Larijani, demanding the swift release of all detainees, especially the female ones. Larijani was named in new sanctions imposed by the United States last week for his human rights abuses. 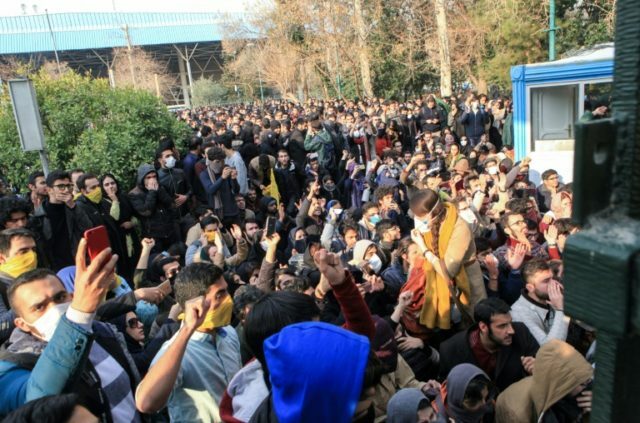 “Randomly detaining students showed how scared the authorities are of an independent entity that voices student demands and represents the poorer strata of society,” the University Trade Unions Council of Iran (UTUCI) said in a statement signed by 35 student councils across the country and 1,500 students from the Tehran University of Medical Sciences. The UTUCI accused the regime of taking advantage of the protests to intimidate trade unions and activists, and demanded the unconditional release of all student detainees. The National Council of Resistance of Iran (NCRI), an opposition group based in France, claimed on Tuesday that “thousands of innocent young protesters have been detained and are under horrific situations” with their lives in “serious jeopardy.” The NCRI created a petition to demand the immediate release of the protesters.